Responsible Travel for sustainable tourism development is what we are for. 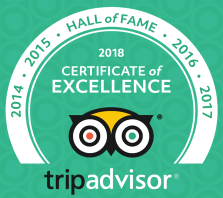 "Tourism for all and all for tourism". Wherever we cycle to, we see the wonderful smile of the children, the villages, the community and the people. We like to see them living in the sustainable community development by supporting the kids in education field, experiencing the local and rural community. Cambodia, Laos and Vietnam have been long suffered by the war especially Cambodia had gone through a very bad experience of the Khmer Rouge from 1975 to 1979. The 3 countries in Indochina are still developing their countries. Cambodia Cycling has been participating actively in social responsibility. In August, 2014, Cambodia Cycling together with Asian Suare Group have enspired over 300 people to to raise over USD7,500 to support Angkor Hospital for Children. >> Learn More Everyday there are more than 500 children have been hospitalized and the hospital desepartely needs fund in order to continue their free treatment to the Cambodian children. Our continuous support does not end. 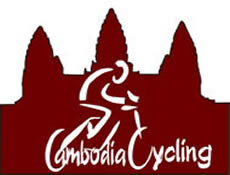 Effective from that moment starting from 01st September, 2014, Cambodia Cycling has decided to donate 2% of all the profits from all the booking to Angkor Hopsital for Children. We hope to raise USD10,000 by the end of the year on 31st December, 2014 for Angkor Hospital for Children. >> Learn more how to donate directly to Angkor Hospital for Children. We strongly believe that children with beter education will have better future. Some of the profit from our trip, will be used to purchase stationary including note books, pens, pencials, rubbers, rulers, colors and tables. In 2004, we repaired the floating school at Tonle Sap lake with funds from the donors in the U.K. We would like to extend our sincere thanks. So, we recommend you to bring along some school stationary during your cycling tour. The kids would be pleased to have them. Through our experience in rural and community development more than 10 years. We have found out that. Community based organization works more effective toward country development than National Level Organizations. Because at community level, they know exactly what their community need and they have also encouraged the local people in the community to participate. In a long run, this would be better for sustainable development. For example, they know exactly the community needs a health center, a pumping well or a rural road. 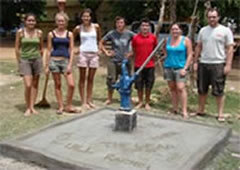 Then they participate in the projects to take care the rural road and the pumping well for sustainable use. Whereas the organizations at National levels focus more on policy delevlopment, more and more they also looking for community based NGOs to support their funds because the community based NGOs are better implementing agencies. Therefore, we like to support community based projects and take our cycling tours to visit community. More than 5 years, we have been also volunteering our times to participate in country development activities by supporting some of the National levels and community based levels to strengthen their capacity building, organizational structure through workshop and training, making policies such as Board of Director Manual, Management Policy, Staff Policy, Financial Policy. Clients served: SILAKA, Church World Service (CWS), American Friend Services in Cambodia (AFSC), and in Laos, Mennonite Central Committee (MCC), PACT, Working Group for Weapon Reduction (WGWR), Youth Resource Development Program (YRDP), Youth For Peace (YFP), Action Conflict Transformation (ACT) and two community based organizations in Battambang: Friend Economic Development Association (FEDA), Thean Thor (HIV/AIDS) organization. >> Learn more about NGOs in Cambodia. We have now extended our services to Laos and Vietnam for free of charge. So, if there are any organizations would like to apply for our services. Please fill in our contact form. In order, to respond to the requirement of the International donors, and joining WTO (Wold Trade Organization). Cambodia, Laos and Vietnam need to have international standard of the organizational structure including Board of Directors, Excutive Direct, Management Community, and their proper policies and all have to be accountable and transparency for the public, the beneficiary and the donors. Board of Director for Non Profit and Non Government Organization do not take salary. It is the key to sucessful leading of the organization. Because they do not take personal interest above the organization's interests. Board of Director normally consists of odd number for easy voting system; with a menimum 3 people from a small organization to a larger numbers depends on how big and the scope of the oganization. Board Members should consists of more than 50% local people and less than 50% expat. We are volunteering our times and serve on a board of an orphanage center in Siem Reap. We are ready to serve as board members for other organizations in Laos and Vietnam. To learn more about Board Members of the organizations in Cambodia, please contact us. In order to respond to the international standard and donors as well as when Cambodia, Vietnam and Laos join the World Trade Organization (WTO). NGOs should have proper policy making and renewal so that they benefits the national interest, beneficiary, the NGOs itself and the donors. We are volunteering our times to help supports of the NGOs and would like to extend our services free of charge to Laos and Vietnam. Mostly, we get our work done through e-mail communication and we can commit our times twice a year for onsite visit to have meeting together with the Board and Management Committee of the NGOs to make sure they are happy with the work we have done for them. Capacity building and developing organizational structure works also effectively through workshop and training. We can commit our times twice a year to do onsite workshop and training on some of the key presentation for developing organizational structure and strengthening capacity building to help the key personnels of the organization to understand their roles and responsiblity so that they do not have any role conflict. We are extending our services to Laos and Vietnam for free of charge, to exchange our experiences of the issues the NGOs in Cambodia have and learn from their experiences.